I excitedly opened my package from Zebrairis.com (Zebra Gardens) last night and was exceptionally pleased with the healthy-looking rhizomes and extras that Brad and Kathie sent me. Great packaging too, and their nursery inspection sticker gave me additional satisfaction that I shopped with them. Unfortunately, it looked like they omitted 1 out of 2 Zzzanzibars that I had ordered. I emailed the Kaspereks this morning about them. Anywho, the bonuses I received: 1 Doe Z Doe and 2 Alpha Gnus. The Alpha Gnus, Blueberry Fillies, and Zzzanzibar went straight into the middle flowerbed; Doe Z Doe went into the side yard. I can’t wait to see these irises next year. After yesterday’s Iris purchase, I’m shopping again. Two internet stores that I’m currently reviewing are ColorBlends.com and Bloomingbulb.com, both highly recommended shops at Dave’s Garden Watchdog. Of particular interest are their southern recommended collections and bulbs. This morning, I started digging up the stray mini lilies populating the middle bed and moving them to a corner location. I had the opportunity to divide 1 bulb that I found, and the rest were bulblets which had sent up greenery, but no flowers this year. Hopefully they will flourish in their new homes. Broken color irises. They’re eye-catching, they’re unique. I love their splashy looks…and I hope to enjoy them in my 2008 garden. 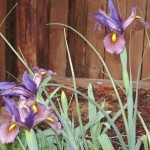 I’ve discovered an internet purveyor of striped irises at ZebraIris.com and I’m browsing their library of dazzling bearded irises for specimens to go into my white-and-blue flower bed. It’s about planting time for the iris rhizomes…and with the Texas weather so mild this week, I can’t wait to do some digging. 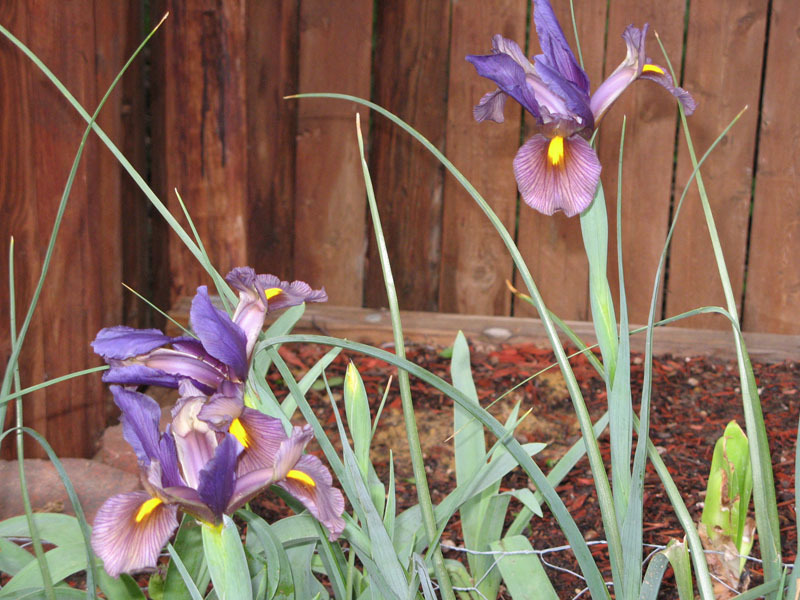 My iris show this year included the very early (Feb/Mar) dwarf irises (reticulata and danfordiae mix) and the April-blooming, 24″ Dutch Eye of the Tiger. (Here’s a basic explanation of the differences between the bulb and rhizome types.) There’s a strong need to fill in the months between February and April with color. Hopefully some irises and white daffodils will fill that gap. On Tuesday, dear hubby and I took a trip to the local Home Depot. I was intent on building on the idea of his tree ring by grabbing 16 red/charcoal foot-wide retaining wall stones. I also needed some new gardening gloves and gave me a good excuse to check out the plant selection. Sadly, no blue salvia in stock. 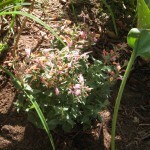 I did find two trays of Agastache Acapulco Salmon & Pink in full bloom. I took one home and got it planted yesterday. I discovered that the Salvia Hot Lips in the side yard had gotten so big and rangy that it overwhelmed a neighboring purple salvia (along with a black ophiogon, artemisia, and the only other existing anemone). 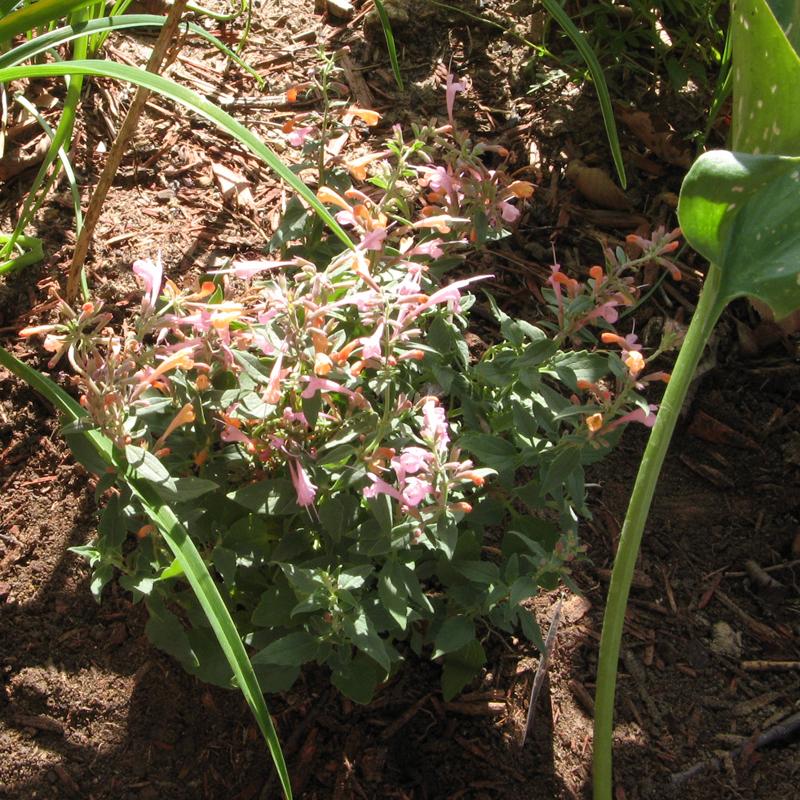 I quickly dug up the purple salvia–okay, more like violently uprooted–and transplanted it to the middle bed. Unfortunately, it doesn’t look like it’s going to survive the move, having lost much of its rootball. It hadn’t been too healthy to begin with after living in the shadow of its leggy neighbor. So I’ve been toying with the idea of putting crocuses in the yard, except that I learned that they are considered annuals in Texas. Having learned my lesson with tulips, I’m not about to invest in a single-year show. So other ideas have crept onto my white-and-blue wishlist of the day: more muscari, more irises (dutch and dwarfs), white daffodils, white callas, allium caeruleum (azureum), nepeta (catmint) racemosa or faassenii, black leaf plants such as heuchera and ajuga and penstemon digitalis Ruby Tuesday. I’m also growing fond of Agastache rupestris and a agastache coccinea x rupestris hybrid called Firebird. Speculation of the day: those salvia greggi reds in my front yard–could they be Furman Reds? I emailed High Country Gardens yesterday to request a copy of my November invoice, which they gladly sent to me. 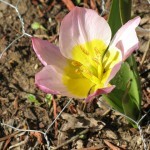 To my knowledge only the Tulipa humilis was the no-show in my garden this year…the one I most wanted to see in bloom. 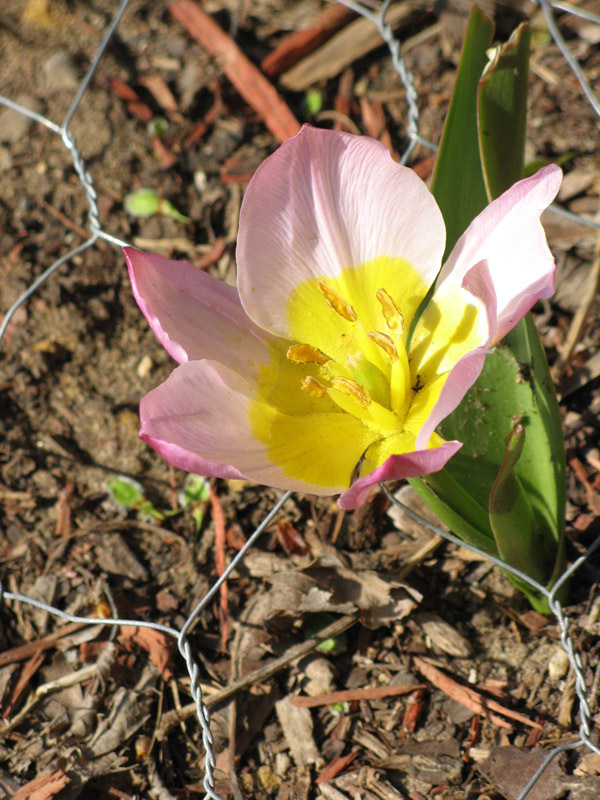 The Tulipa bakeri was kind enough to put out 2 blooms before disappearing into the ground altogether (picture taken 3/9/07). The white flowering muscari and allium weren’t nearly as spectacular as their darker colored counterparts, Ivory Queen proving to be a shorter, ground hugging allium than Christophii. The alliums however do make for interesting dried subjects, their preserved spiky heads still linger in the garden today….